The neat and organized property is easier to access. Many contemporary properties use the garage as a primary entryway of the home or business. Therefore, if your garage door is malfunctioning, it can mean that your property will be harder to access. Don’t let a compromised installation damage the strength and safety of your home or place of business. 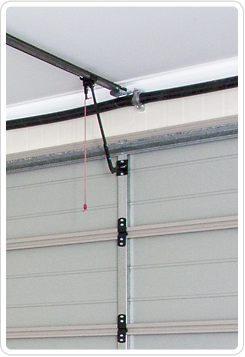 Count on our company to provide decisive garage door spring repair in McKinney, TX. Our responsive, detailed-oriented technicians provide the right repair services that fit your schedule and budget. Garage doors are comprised of many different parts. Since they must act as both a door and barrier, it is important to ensure that remain in working order. After all, single, compromised part can mean the difference between an operational door--and a safety hazard. Perhaps one of the most important parts in a garage door installation is the spring. These parts are commonly referred to as “torsion” or “extension” garage door springs. They can be commonly found along the top of a closed garage door. These springs act as a “counterbalance” that exerts a great amount of force that keeps the door in a desired, opened or closed position. As a mechanical component, the garage door spring can be prone to normal wear and tear that, if left unchecked, can lead to failure. Since this component is always under tension, this part should always be serviced by a trained and experienced professional. Uphold the safety of your property with our technicians. Our team members have the training, experience, and equipment to conduct garage door spring replacement services. We take a careful and methodical approach to service so that your door operates as intended. Garage door spring replacement is simpler when you call us. If you notice that your garage door has trouble staying in one place while open, let us take a look at your installation. Each service begins with an in-depth inspection, where we carefully examine each component to find the cause of the malfunction. If the problem is with the springs, we will let you know. Of course, we can also make recommendations for additional garage door repairs, should your specific situation require them. After assessing which service is necessary for your garage door, we get to work and make things right. Our technicians are thoroughly trained and experienced in the service, repair, and maintenance of all garage door components from the popular manufacturers. We also repair and replace automatic openers.